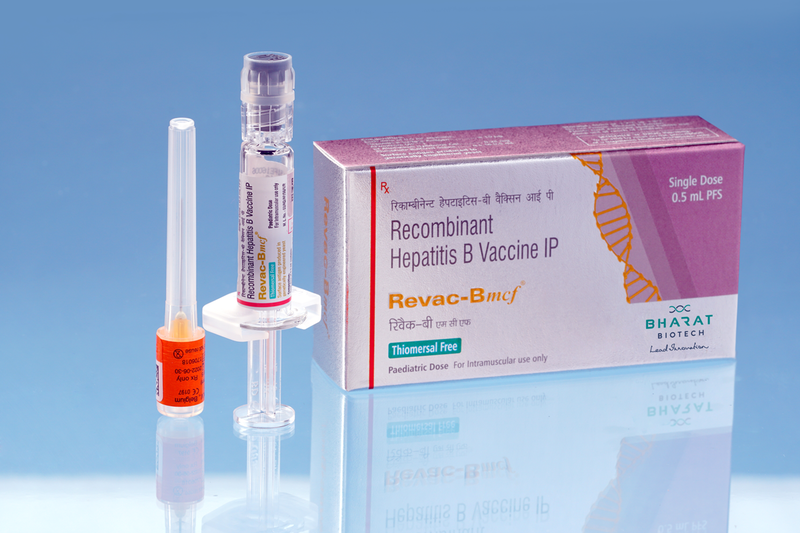 Revac-B mcf® is a sterile suspension containing purified, non-infectious major surface antigen of the Hepatitis-B virus and is manufactured using recombinant DNA technology. Revac-B mcf® is the only preservative-free and Caesium Chloride-free Hepatitis B vaccine.The efficacy and safety of Revac-B mcf® is ensured through stringent adherence to the highest standards of bio-process control and consistent Quality Assurance measures. No substance of human origin is used in the manufacture of HbsAg protein.